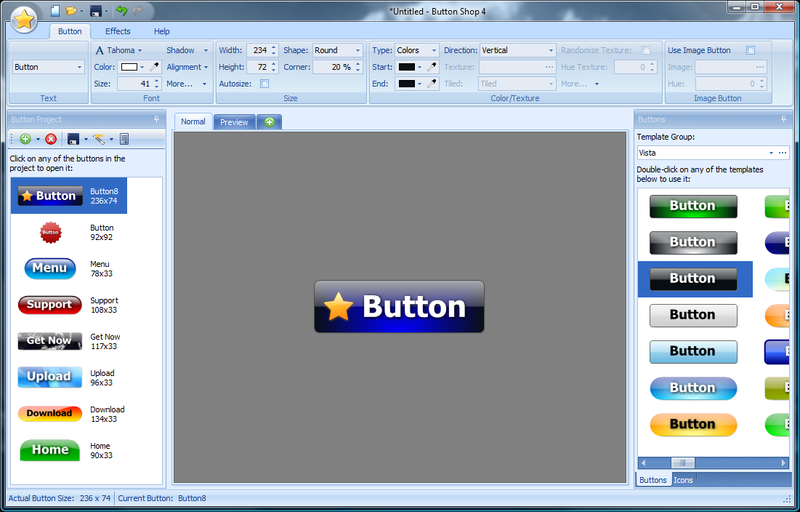 Presentation is everything, enhance your website with elegant buttons created with Web Button Maker Deluxe! Easily create Vista and XP themed buttons, Mac and Aqua style buttons, colorful and shining web buttons, animated buttons and more! Choose between over 100 premade button designs, or make your own button design. You can fully customize the buttons by adding cool effects such as pulse animated button, gradient color, shadow effect and more!